The neighborhood of Miramonte in Carmel Valley is accessible from Carmel Valley Road as well as Laureles Grade which begins at Hwy 68 near Laguna Seca and traverses through the mountains into Carmel Valley. Main streets in the Miramonte neighborhood include Camino Escondido, Jeanette Road, Rinconada and Hidden Hills Road. It is a very convenient location to live in if you work in the Monterey area downtown or in Ryan Ranch Office Park since Laureles Grade will provide a shortcut to your destination without having to travel Carmel Valley Road. Homes here are also within the distinguished Carmel Unified School District. The views here can be quite spectacular and expansive, with vistas of the ocean, city lights and the valley. The quiet setting offers privacy, and natural elegance surrounded with majestic oak trees and top of the world views. With large parcels, these homes often boast their own vineyards for growing fabulous Pinot Noir and Chardonnay grapes and ample room for equestrian facilities. Room for a pool will allow you to take advantage of the warm sunny Carmel Valley weather which is consistently pleasant especially in the summer months when the coast is blanketed in fog. Click here to preview all Carmel Valley homes for sale in the Miramonte neighborhood. For all available Carmel Valley real estate, click here. In 2018, 7 homes sold in this neighborhood. The most expensive home to sell was a 2 bedroom, 1.5 bathroom gated residence with 1,340 SqFt of living space on 1+acres. The least expensive home to sell was a 3 bedroom, 2.5 bathroom home with 2,750 SqFt of living space on 2.61 acres with mountain and valley views and selling for 800K. In 2017, 15 homes sold in this neighborhood. The most expensive home that sold, sold for 2.85 million for a 6 bedroom, 5.5 bathroom Hacienda, horse property with 5,304 SqFt of living space on 10.53 acres complete with a pool. The least expensive home sold for 724K for a 3 bedroom, 3 bathroom home with 1,708 SqFt of living space on .42+acres. 9 homes sold in this neighborhood in 2016. The most expensive home that sold, sold for 6.25 million for a 6 bedroom, 7 full and 2 half bathroom Hacienda estate with 7,717 SqFt of living space on 8.49 acres. The least expensive home that sold, sold for 1.050 million for a 4 bedroom, 3 bathroom, ranch-style home with 2,793 SqFt on 1.5 acres and complete with pool. 13 homes sold in this neighborhood in 2015. The most expensive home to sell, sold for 2.74 million for a 6 bedroom, 5.5 bathroom, Mediterranean estate with 5,688 SqFt of living space on 10 acres with a swimming pool. The least expensive home that sold, was a 3+ acre, bank-owned lot that sold for 100K. In 2014, 7 homes sold in this neighborhood. The most expensive home was a 4 bedroom, 3.5 bathroom home with 4,367 SqFt of living space on a 2+acre lot and sold for 1.74 million. The least expensive home sold for 641K with 2 bedrooms plus den, 2 bathroom and 2,377 SqFt of living space on 4.17 acres. In 2013, 10 homes sold in this neighborhood. The most expensive home sold for 3.3 million and was a 4,500 SqFt home on 10 acres, while the least expensive sold for 339K and was a 2,353 SqFt home on 125,975 SqFt of land. 7 homes sold in this neighborhood in 2012. 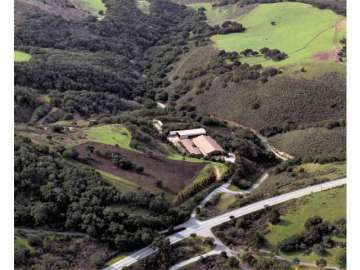 The most expensive home sold for 1.27 million and had 4 bedrooms and 5 bathrooms with over 4,000 SqFt of living space, situated on 7+ acres of land with potential for a vineyard, orchard or horses and had views of Steinbeck’s Pastures of Heaven. The least expensive home sold was a 4 bedroom 2 bathroom home on an acre of land. The home did not have recent updates but had some Valley views. For a detailed analysis of Carmel Valley real estate sales, check out our monthly Community Market Reports. Owning a home in the Miramonte neighborhood of Carmel Valley is desirable and ideal for those who want commanding views, privacy, land, and convenience. The weather is generally warm and sunny and the setting is peaceful and relaxed. Your everyday errands can be accomplished easily with shopping in Mid Valley or into Monterey by way of Laureles Grade. When you yearn to hit the greens, world class golfing is available in Carmel Valley at Quail, Carmel Valley Ranch or Rancho Canada or a short drive will take you to Pebble Beach whose golf courses are world famous, challenging and visually stunning. You will enjoy the outdoor activities available in the Valley from cycling to horseback riding to simply hiking and taking in the scenery and fresh air. You are just a short drive away to Carmel-by-the-Sea with its story book cottages and enchanting shops, restaurants and galleries. Living close to the coast there are an abundance of water sports to partake in as well and miles of beaches to explore. Your home in Miramonte will be a private sanctuary to enjoy the beauty of nature, entertaining with friends and family and creating memories for years to come.